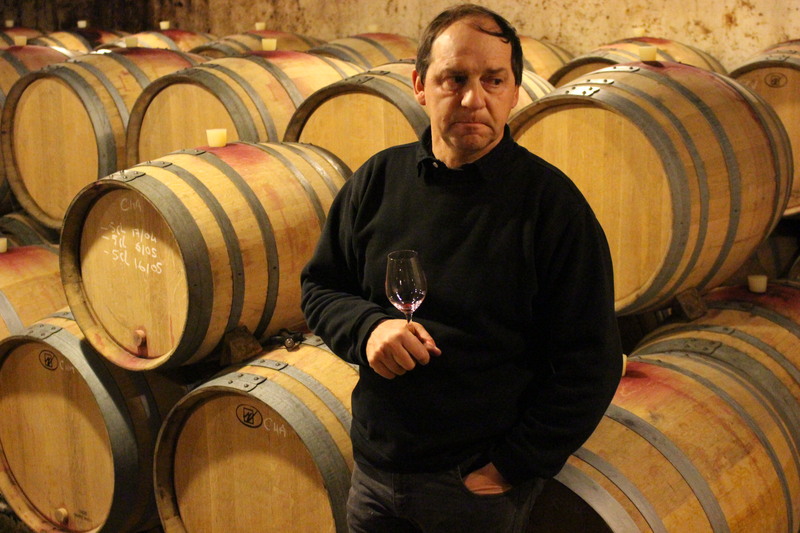 Denis Bachelet is one of those singular winemakers in Burgundy whose skills are most often spoken of in hushed, respectful tones and whose wines have achieved iconic status . His Gevrey-Chambertin and Charmes-Chambertin are so rarely seen on the market that the oft-heard comparisons to unicorns are only half in jest. The teenage Denis Bachelet must have been both a quick learner and an intuitive winemaker. 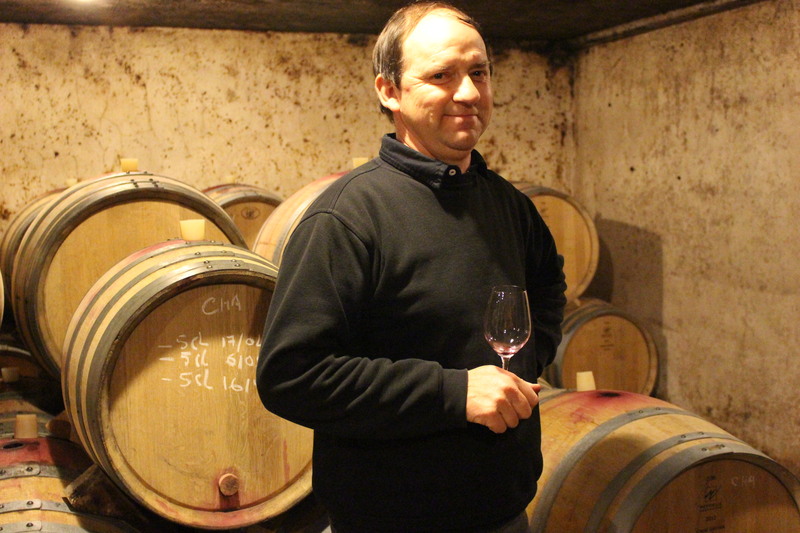 Born in 1963, he produced his first vintage in 1981, a notoriously difficult and largely uncelebrated year in Burgundy, and drew rave reviews for his efforts. Taking full charge in 1983, Bachelet quickly rocketed to stardom where he has remained. As befits a great domaine, there is a solid base in superb vineyards, which are well-situated, prudently farmed, and are comprised of remarkably old vines: all together 4.28 hectares. Bachelet’s signature wines, the Grand Cru Charmes-Chambertin (.43 ha.) and the Premier Cru Gevrey-Chambertin Les Corbeaux (.42 ha. ), both come from vines dating back to 1907-1917. The lieux-dit Les Evocelles, acquired in 2011, consists of 17 ares of vines planted between 1961 and 1969. The villages-level Gevrey-Chambertin (1.43 ha.) comes from vineyards planted between 1932 and 1937, and situated in lieux-dits En Dérée, Sylvie, Les Jeunes Rois, La Burie and La Justice. The Côte-de-Nuits villages (1.04 ha.) vines mostly dates back to 1952, but also include a 9 are parcel in the lieux-dit Créole in Brochon, which was planted in the early 1900’s. Remarkably, even Bachelet’s Bougogne Rouge (.61 ha.) and his Aligoté (.19 ha.) are old vine, being planted, respectively, in 1977 and 1987. Bachelet follows the precepts of lutte raisonée, a system of vine cultivation that is essentially organic and noninterventionist. Lutte raisonnée entails holistic and balanced management of the vineyard, with primary focus on the microbial health of the soil and the biodiversity of the vineyard. The governing policy is to support and maintain the natural ecosystem of the vineyard so that the vines can prosper without intervention, thereby naturally resisting pests and disease. The system pursues a reasoned and not absolutist approach, however, and practitioners of lutte raisonnée will occasionally permit limited chemical intervention if certain danger thresholds are passed. The yields are, of course, naturally low due to the advanced age of the vines. In addition, there is green harvesting if any vines appear to be overly productive. At harvest, there is strict triage in the vineyards following by a scrupulous sorting again in the cuverie. Bachelet adheres to a noninterventionsist philosophy in his winemaking, choosing to allow the vintage to express itself through the Pinot Noir. Accordingly, he eschews modernist techniques and takes a decidedly traditional approach to winemaking. After meticulous triage on a vibrating sorting table, the grapes are completely de-stemmed, lightly crushed, and then cold macerated in cement vats at 15°C. for 5 or 6 days. Natural yeasts then ferment the must for up to two weeks, with the temperature regulated below 32°C. Bachelet generally punches down once or twice daily, but only rarely pumps over. After fermentation, and pressing (pneumatic press), the juice is placed into stainless tanks to settle out the gross lees for up to a week, racked into barrels and then cooled to 13°C. The intent of this cooling is to delay malolactic fermentation for as long as possible, as late as the following August, thereby maintaining high levels of CO₂ and preserving freshness. The oak regimen is light, with generally only 25% new oak for the villages Gevrey and up to 35% for the Premier and Grand Crus. 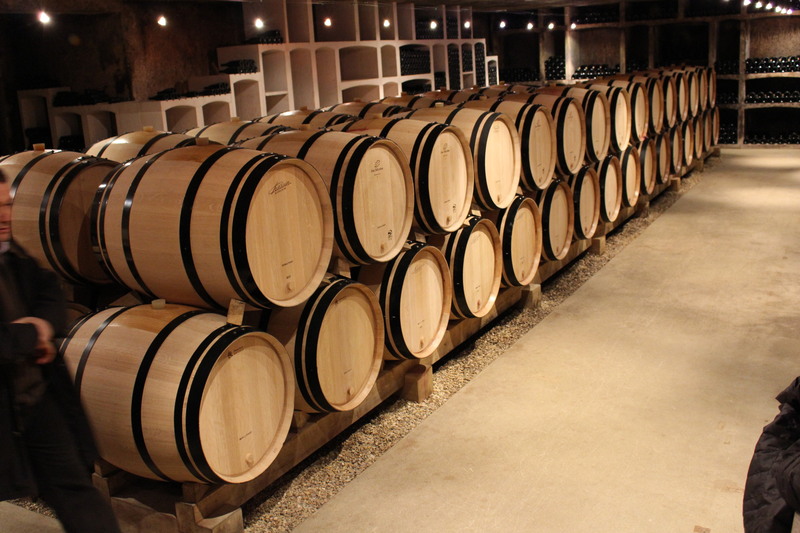 The tonnellerie Meyrieux crafts the barrels, using Allier oak for the Charmes-Chambertin and Vosges for the villages and Premer Cru. After a total of 15-18 months, the wine is hand bottled without filtration. Les Corbeaux: This 3.21-hectare Premier Cru climat in Gevrey-Chambertin is situated in just south of the village of Gevrey, and east of the Premier Cru Fonteny vineyard. Facing east from an elevation of 300m, the soil is limestone-based, peppered with small pebbles in the upper portion of the vineyard, and exhibiting somewhat richer and browner soil at the lower section. The vineyard lies over the site a of a cemetery from the Middle Ages. The name Corbeaux, which means “crows” in French, attests to the birds that were attracted to the burial site. The most notable wine from the vineyard is produced by Domaine Denis Bachelet. Click here to visit the Veritas Imports website.